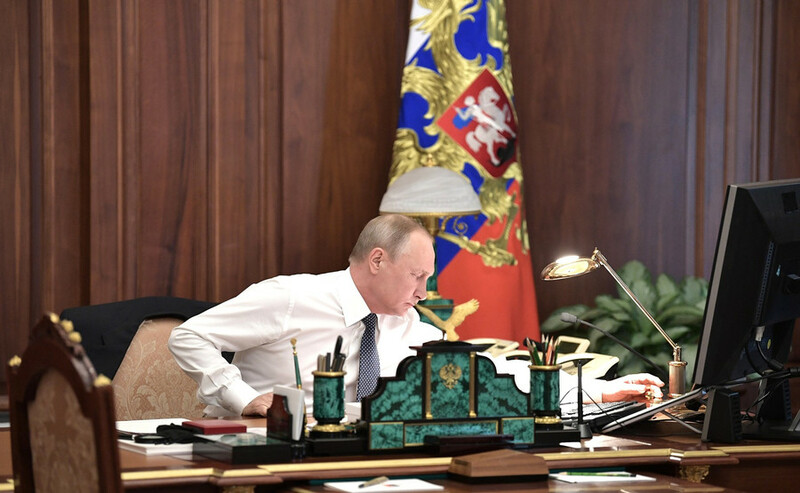 When Vladimir Putin was asked if he’s planning to run for office again in 2024, he said he always follows the country’s Constitution that says only two terms in a row are possible. “I always strictly followed and will follow the Constitution of Russia. The Constitution clearly states – no more than two terms in a row,” Putin said during a meeting with media heads as part of the St. Petersburg International Economic Forum (SPIEF) on Friday. “Now is my second term. As you remember, I’ve been president twice previously and then abandoned the position of president because the constitution didn’t allow getting elected for the third time. That’s it. And I intend to follow this rule in the future,” the 65-year-old explained. Putin has been re-elected as president of Russia this March, winning his second consecutive and fourth overall term as the head of state. He previously occupied the position between 2000 and 2008, but stepped down in accordance with Constitution to run for office again in 2012.